We had such a great time getting to know Gwenette Lewis! 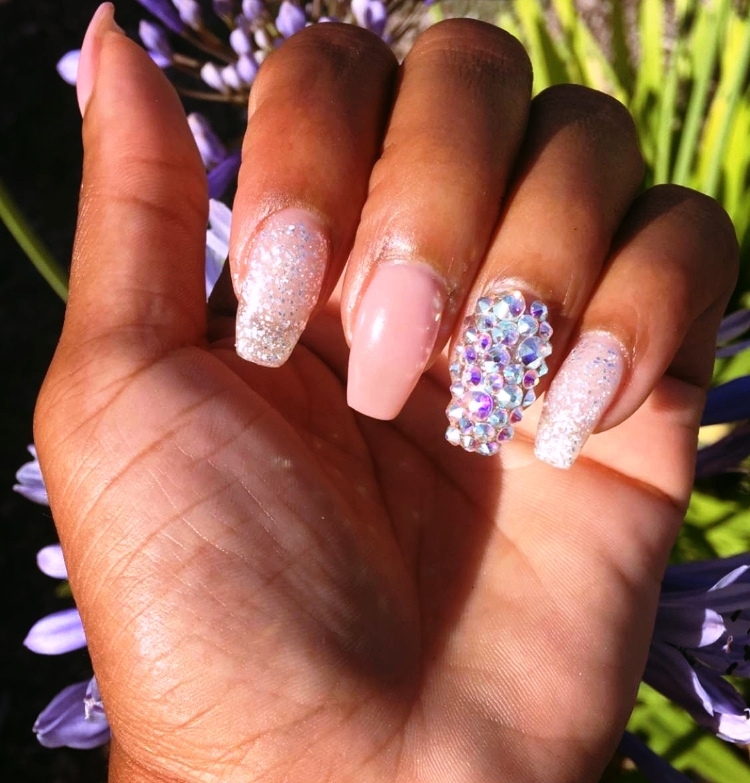 This California-based nail genius tells us about how she uses her secret weapon of hard gels for natural nails and how she perseveres through difficulties. Keep reading to learn about how GlossGenius has helped her to manage her time so she can continue to slay all of life’s tasks! Bonafides: I received my manicuring license in Fresno, Ca in 2014. Since then I have grown into my own private suite catering to Natural Nail care and repair. I am now a Nail specialty educator for Paul Mitchell school of Beauty. Specialty: My specialty is Hard gel overlays/extensions, Gel polish manicures, Natural nail repair & Embellishments. I cater to those who love their natural nails and want to keep them beautiful. What’s your secret weapon? Valentino Hard gel! It’s made my service a commodity in my city for natural Nail lovers. Also my customer service background, it helps me to give amazing client consultations, so I can give the most effective service to each and every client. Who inspires you? There are so so many, but currently David Valentino(Valentino beauty pure) Poochiez Nails, and Jessica Dupart (Darealbbjudy). They all have a drive to help others reach their full potential. Despite where we come from we can all make it to greatness in our lives. Tel us about your salon! What’s behind the name? The brand? Haus of G Lewis Nails name came from the word Haus: To be really really ridiculously good at something! And I said that’s it! I added my first initial and last name and I had a business name! My Brand is really known and created for natural nail care, I feel everyone should have amazing healthy nails weather getting gel polish, Hard gel or acrylic enhancements. Natural nails can be beautiful too! If you could do anyone’s [hair, nails, makeup, ect] who would it be? I have to say I don’t have 1 specific person. I love NYFW so I would love to do nails there for the models and designers. That would be a Dream come true. What advice would you give to a new independent professional? To never give up. Follow your dreams because they can come true with hard work, patience and dedication. Nothing comes over night, stay focused on your goals and work hard to achieve them. What’s your favorite Gloss Genius feature? Honestly, the ability to charge clients who are not respectful of my time or policies. I don’t usually have that problem, but GlossGenius gives me that security with their ability to place a clients card on file. Best feature to secure my business income so I don’t lose money. What makes you a #GlossBoss I am a #Glossboss because I’ve never quit at doing my best to be great! No matter how hard things may seem, I pray, continue to work hard and always find a way. 4 years of following my dreams I have my own private suite and maintain a full clientele, I am also a Nail specialty educator for Paul Mitchell school of Beauty. I am a mother of 2 amazing children and a wife. GlossGenius helped make my schedule more manageable so I can keep being great at all of my life goals! This makes me a #Glossboss!!! Thanks for chatting with us Gwenette! We love that you are such a vibrant part of the #GlossyPosse! Interested in using GlossGenius for your business? Sign up for your free 14-day trial here!